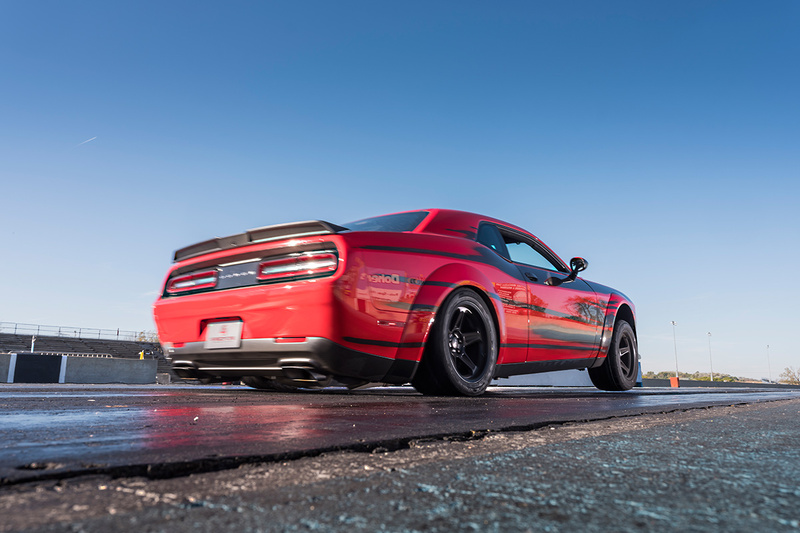 The Dodge Challenger SRT Demon managed to impress immediately, but SpeedKore Performance Group wanted to take things even further. 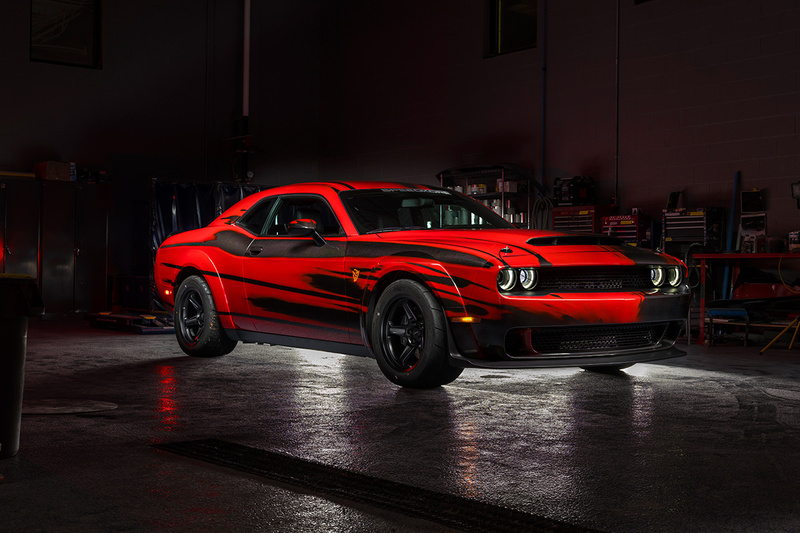 Rare is the person who, when first presented with Dodge’s street-legal dragster SRT Demon, thought “how do we make it even faster” and get to work doing something about it. However, that’s exactly what Wisconsin-based SpeedKore did. 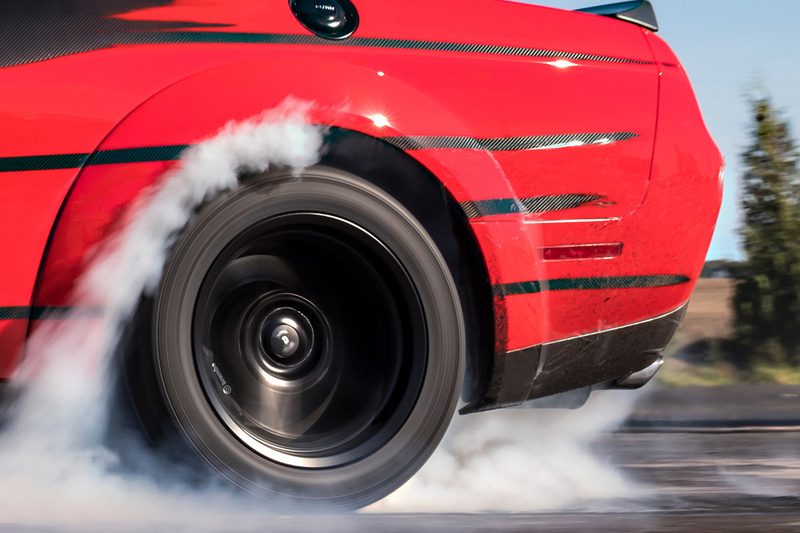 Exactly how do you improve on a 840hp menace, already capable of running 0-60mph in 2.3 seconds and pulling a wheelie from a standing start? With the extensive use of carbon fibre, replacing heavy regular body panels with ones formed from the lightweight wonder material. The result is not only a substantial chunk of weight removed from the already stripped-out SRT Demon, but also a paint finish which looks rather cool. Naked carbon panels will undoubtedly always tick our box, but the special PPG “tear-off” paint makes the lightweight Demon appear really evil. SpeedKore is a company very much in the ascendancy at present, with the carbon fibre-bodied Ford Mustang GT350R receiving great acclaim from Jay Leno. A SpeedKore ’70 Ford Mustang BOSS 302 – commissioned by Robert Downey Jr. no less – picked up a ‘Best of Show’ award at SEMA, whilst the company also had rock legend Sammy Hagar on hand to unveil the carbon fibre Demon. That’s a pretty big deal. 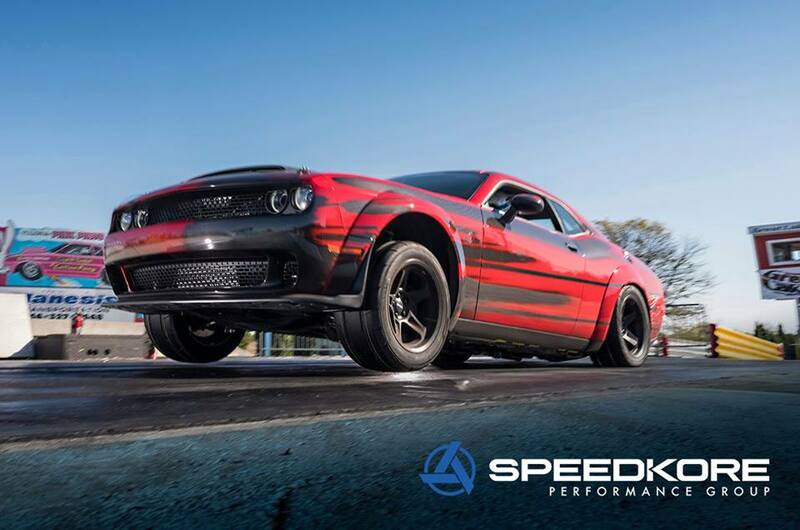 UPDATED: With the madness of SEMA now finished, SpeedKore have provided us with some amazing photos from the launch of the lightweight Demon. We’ve also got a wealth of bonus SpeedKore goodness to share in the very near future. After all, there’s no such thing as too much carbon fibre.